This is an “in honour” holiday greeting card. 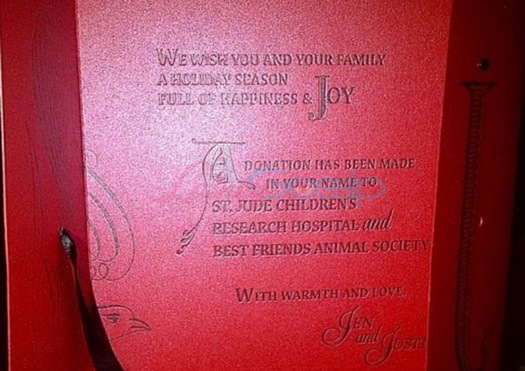 A donation was made in the name of the recipient to St Jude’s Children’s Research Hospital and Best Friends Animal Society. Like, when you link your twin initials, you know it’s Love For Life.